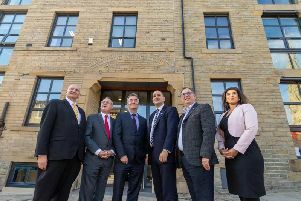 Students and families in Calderdale will have to wait until 2020 to move into a new dedicated Halifax sixth form centre. Trinity Multi-Academy Trust, home of Trinity Academy Halifax (TAH) sixth form, is working in partnership with Calderdale Council and Rastrick High School to deliver Calderdale’s very own sixth form centre. 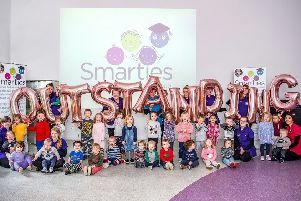 Initial plans were to open the centre in September 2019 but the opening has been hit by delays. Students who enrol to the current TAH sixth form provision will be educated at the Trinity Academy Halifax site from September 2019 and then relocated to the Northgate site in January 2020. Principal of Trinity Academy Halifax, Nick Robinson, said: “I am delighted to have such interest in our new sixth form centre, which year 11 students in neighbouring schools can now apply to. "The new building is such a transformational project, allowing more students to benefit from an outstanding sixth form provision in a state-of-the-art new building. "At the start of the academic year, all sixth form students will be easily accommodated in our fantastic Trinity building, which has already been expanded to accommodate this. It has been confirmed that the site will not be be open to students until January 2020. It will initially be able to accommodate up to 600 students, growing to 1000 students to meet increasing student demand. Councillor Megan Swift, Calderdale Council’s Cabinet Member for Children and Young People’s Services, added: “As part of our Next Chapter transformation of the Northgate site and Halifax, we’re excited to bring a brand new, high-quality sixth form centre to the heart of the town centre. "We want all our young people to be able to access a good education within Calderdale and to reach their full potential.